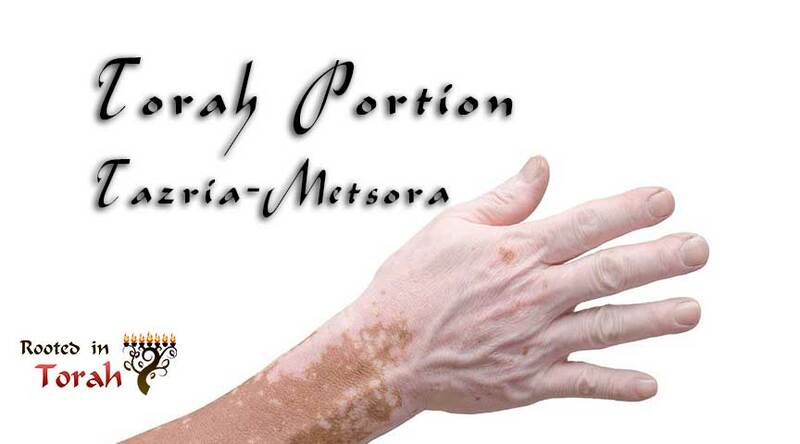 Welcome to the Torah Portion Tazria Metsora. In this post, we will cover the weekly Torah portion and weekly Haftarah portion from a cultural perspective. There is also an Echoes Through Scripture teaching which takes a theme from the Torah portion and connects it throughout the rest of the Hebrew Bible and into the Apostolic Scriptures. Then YHWH spoke to Moses saying: “Speak to the children of Israel, instructing: If a woman conceives and bears a male child, then she will be unclean for seven days, as in the days of her niddah she will be unclean. In the eighth day the flesh of his foreskin is to be circumcised. She must wait during the blood of purification for 33 days. She is not to touch any holy thing, nor come into the Sanctuary, until the days of her purifying are completed. But if she bears a female child, then she will be unclean for two weeks, as in her niddah, and she is to wait in the blood of purification for 66 days. Ryan, Your Metzora Torah portion teaching hit me at the core!! I guess today I was ready to receive this teaching. Ha!! This was AMAZING!!!! It explained so many question I had!!! Todah Rabah for all your time and energy you give to present your teachings!!! Blessings to you and your family!! !